It has been a little while since I made a batch of cookies, and it has also been a while since I used my beloved Golden Syrup. Quel nightmare! So, when the inevitable cookie craving struck the other day I went directly to the pantry to see what was available. I had already decided on Golden Syrup, and I had some fresh oatmeal, so that was going in. I also had part of a bag of chocolate chips. Things were looking pretty good for this cookie obsessed blogger! 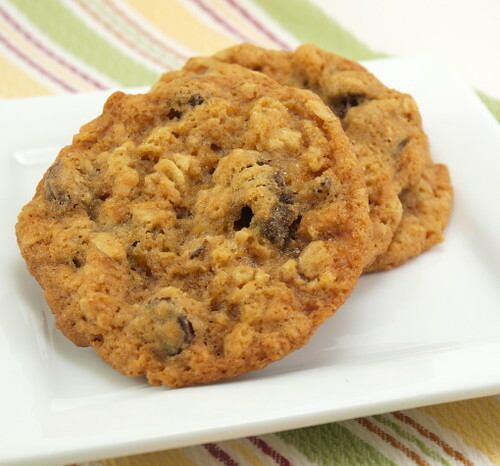 These cookies are chewy. Very chewy. Additively chewy. Of course with a half a cup of Golden Syrup, they could not help but have a chewy texture. 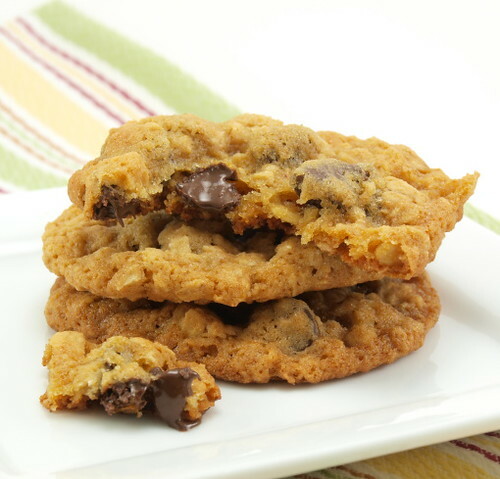 That texture is enhanced by the oats, and the melting chocolate. 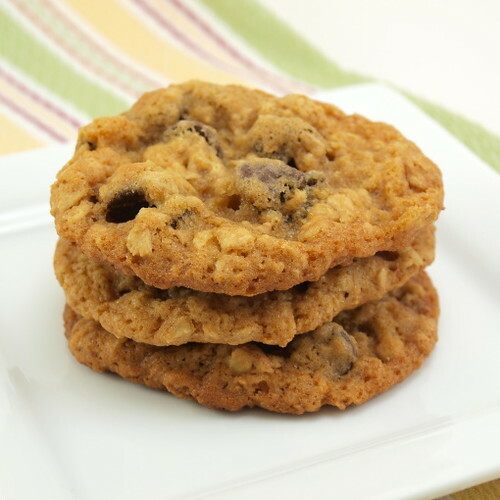 Another benefit of the Golden Syrup is that these cookies stay fresh for a long time on the counter. You can keep them in an air tight container for five days and they will still be moist and chewy. I omitted the cinnamon that is traditionally found in oatmeal cookies. Really, the Golden Syrup is the star here and I wanted nothing to interfere with its deep amber flavor. Heat the oven to 375 F and line two sheet pans with parchment paper. 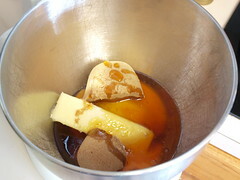 In the bowl of a stand mixer combine the butter, both sugars, golden syrup, and vanilla. Cream the mixture until smooth and starting to lighten in color. Add the egg and mix until well combined. 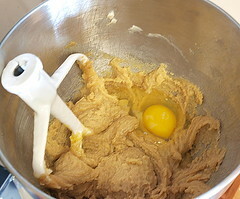 In a small bowl sift together the flour, salt, baking powder, and baking soda. Pour the dry mixture into the wet and mix on low speed until just combined. 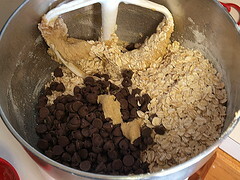 Add the oats and chips and mix until blended. 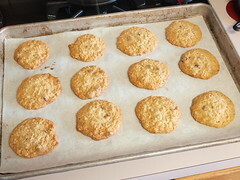 Scoop the cookies out onto the prepared cookie sheet by rounded tablespoons. Bake for 9 to 12 minutes, or until puffed and golden brown. 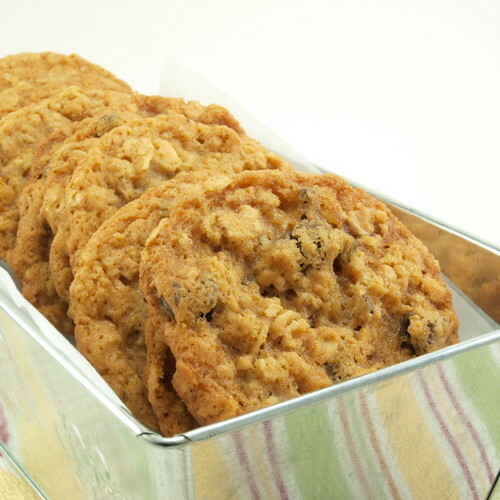 Allow the cookies to cool for five minutes on the pan before transferring to a wire rack to cool completely. *Many recipes will say to substitute dark corn syrup for Golden Syrup, but I would not recommend that here because the flavor profile would be WAY off. Golden Syrup, happily, is available in most larger grocery stores in the maple syrup and corn syrup section.